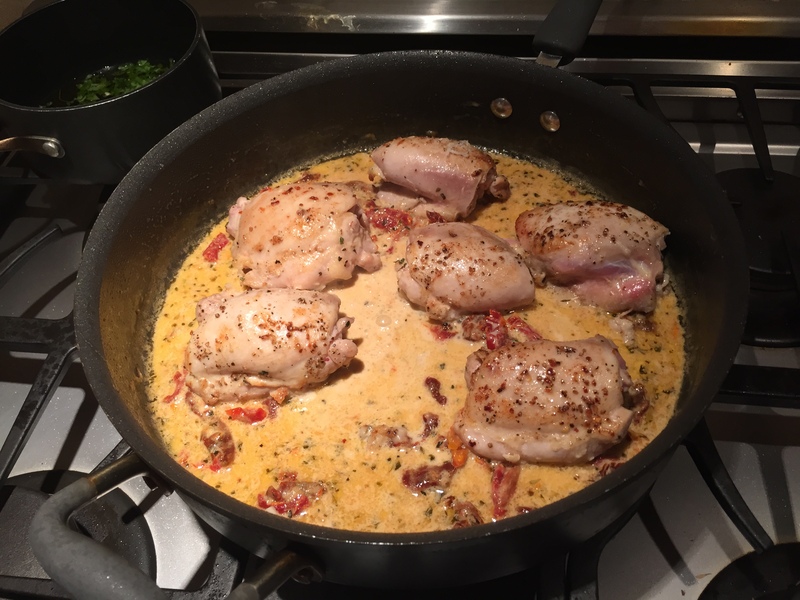 Chicken with creamy sun-dried tomato sauce | what are we having for dinner? 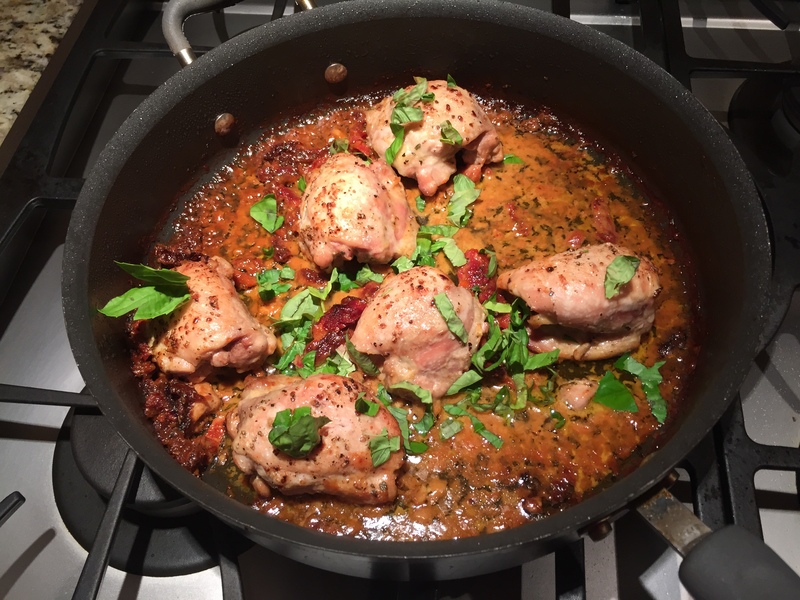 This chicken recipe is just amazingly delicious! 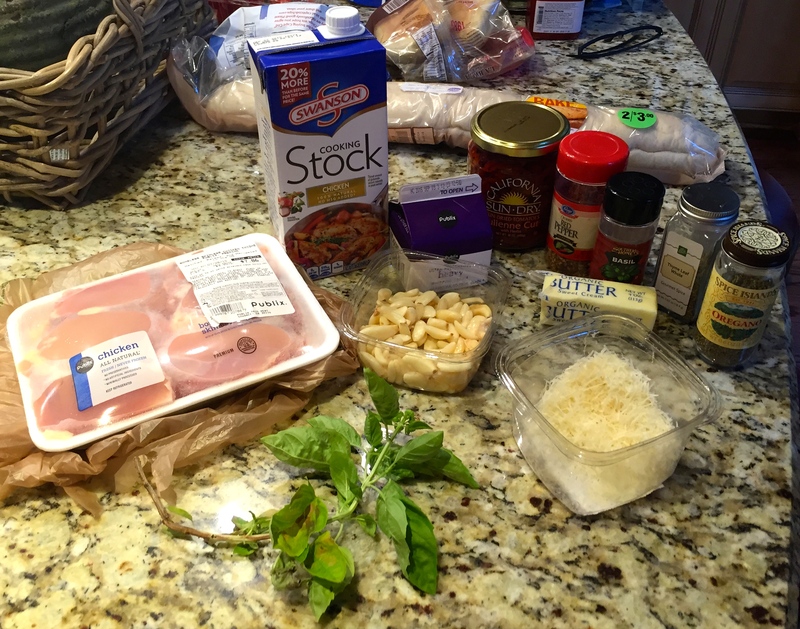 I have shied away from chicken thighs in the past (having never prepared them before) but NO MORE! 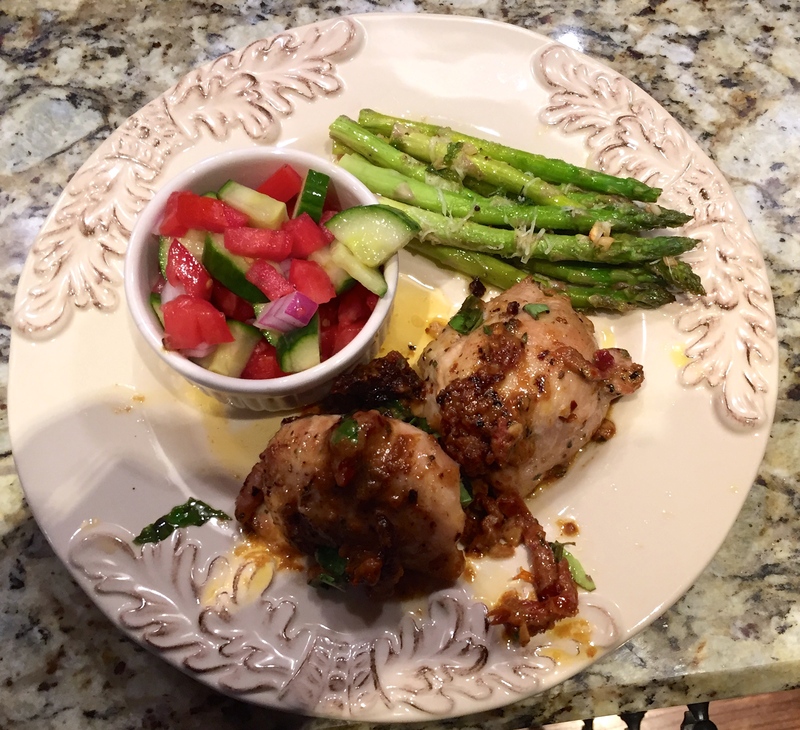 They are so flavorful and juicy that I might never go back to boring boneless chicken breasts again! The sun-dried tomato sauce with herbs is simply stunning. I hope you enjoy it as much as I did! 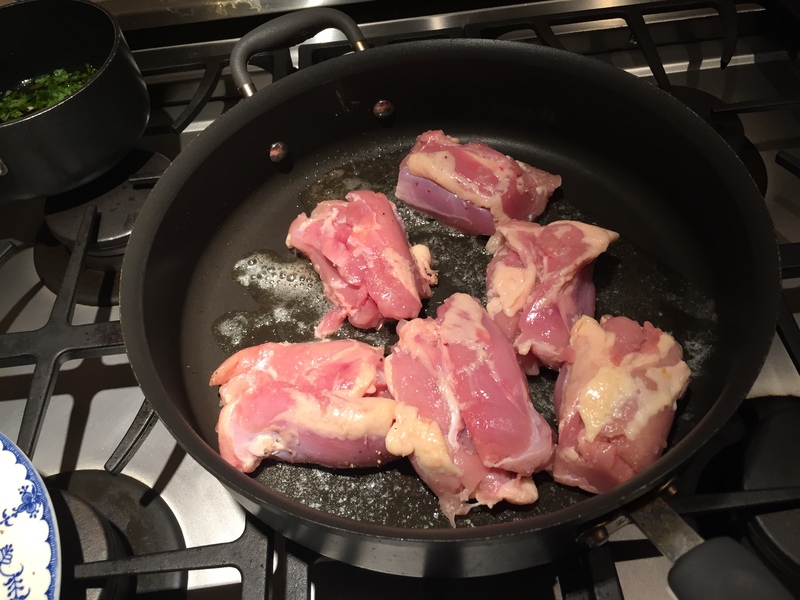 Preheat oven to 400 degrees F. Season chicken thighs with salt and pepper, to taste. 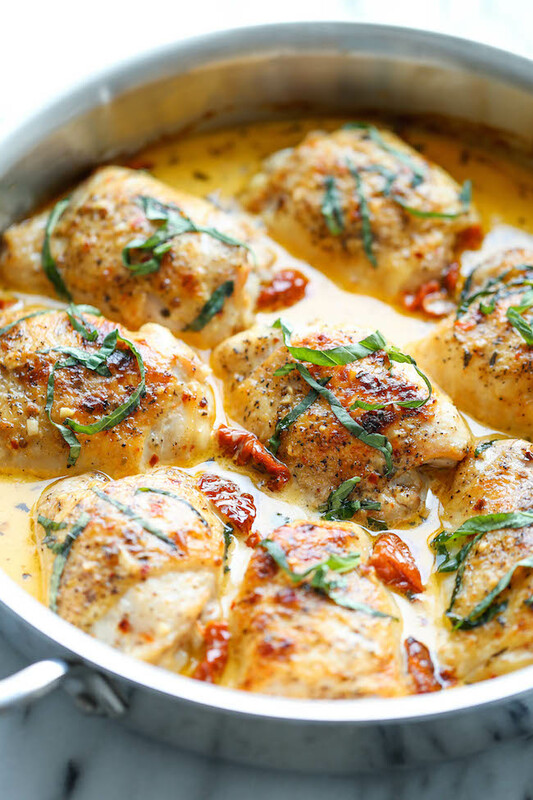 Melt 2 tablespoons butter in a large oven-proof skillet over medium high heat. 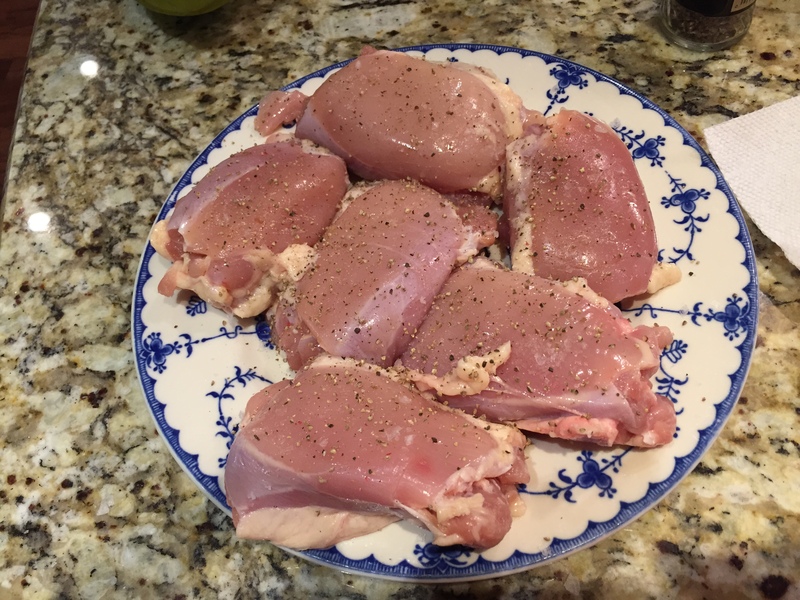 Add chicken and sear on both sides until golden brown, about 2-3 minutes per side. 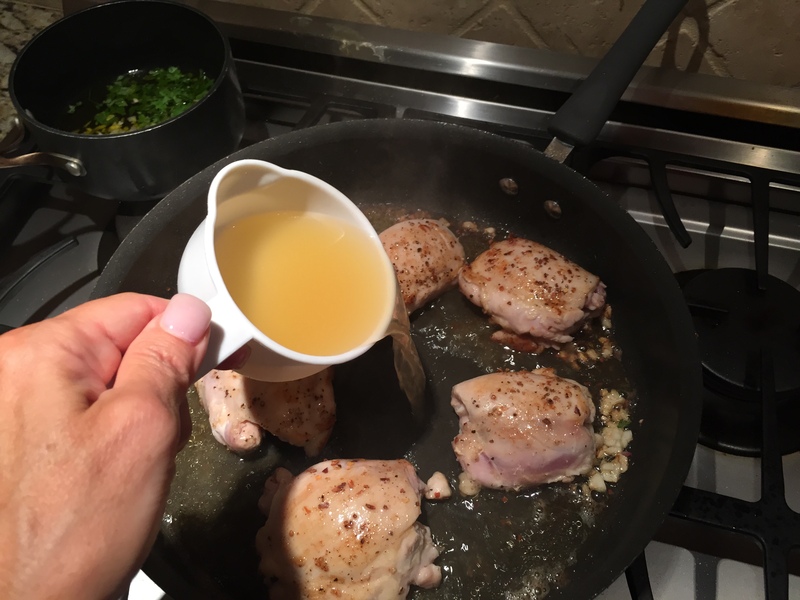 Melt remaining tablespoon butter in the skillet. Add garlic and red pepper flakes, and cook, stirring frequently, until fragrant, about 1-2 minutes. 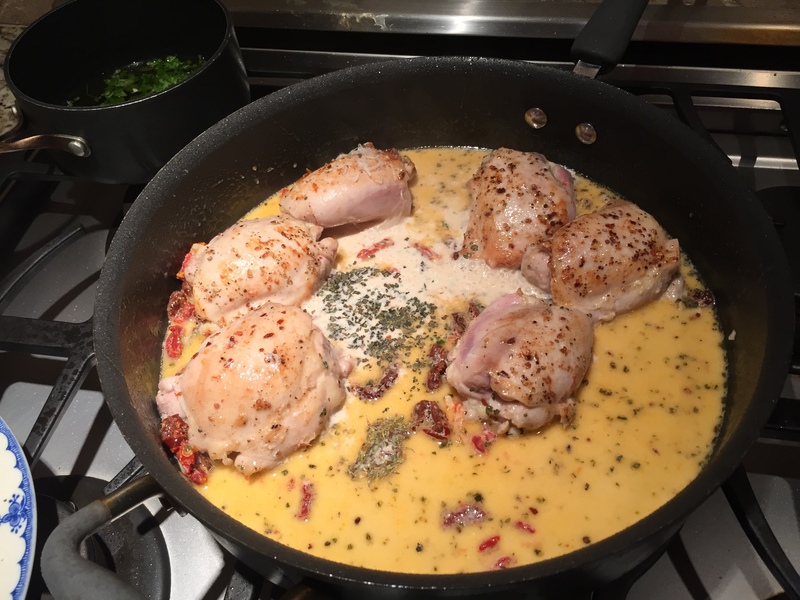 Stir in chicken broth, heavy cream, sun dried tomatoes, Parmesan, thyme, oregano and basil. 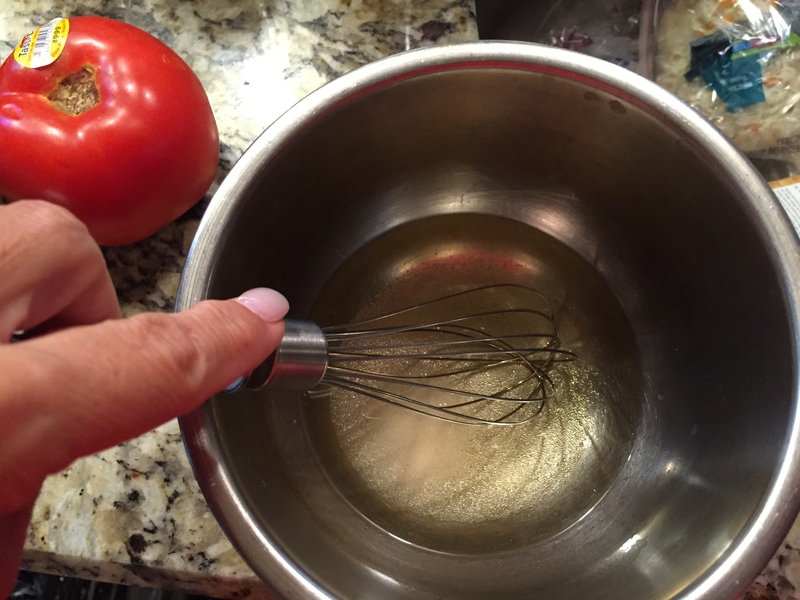 Bring to a boil; reduce heat and simmer until slightly thickened, about 3-5 minutes. Place into oven and roast until completely cooked through, reaching an internal temperature of 175 degrees F, about 25-30 minutes. Sprinkle basil over. Freshly ground black pepper Preheat oven to 400°F. 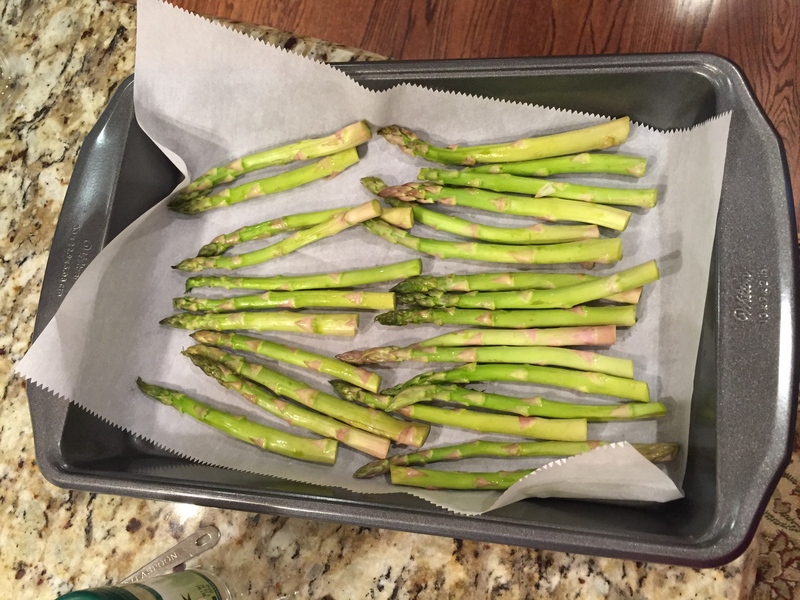 Line a 9×13 pan with parchment paper. Set aside. 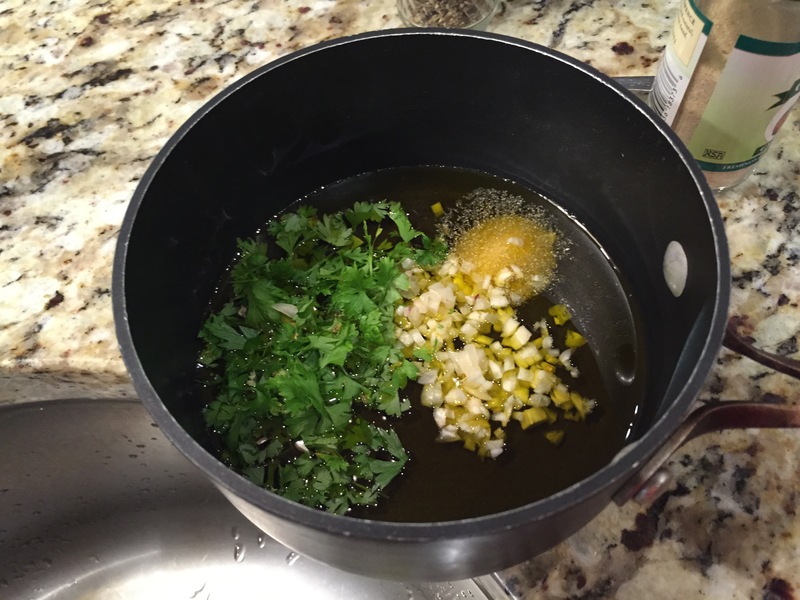 In a small pot, heat the oil, garlic, onion powder, and parsley on medium-low heat. Cook for 3 minutes, until the garlic mixture is fragrant but not browned. 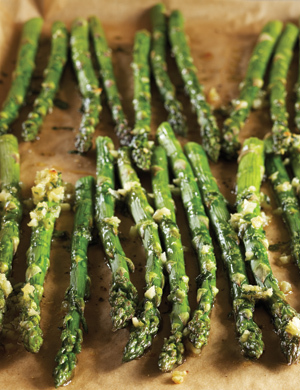 Spread the asparagus in a single layer on the prepared pan. Lightly sprinkle with coarse sea salt and freshly ground pepper. 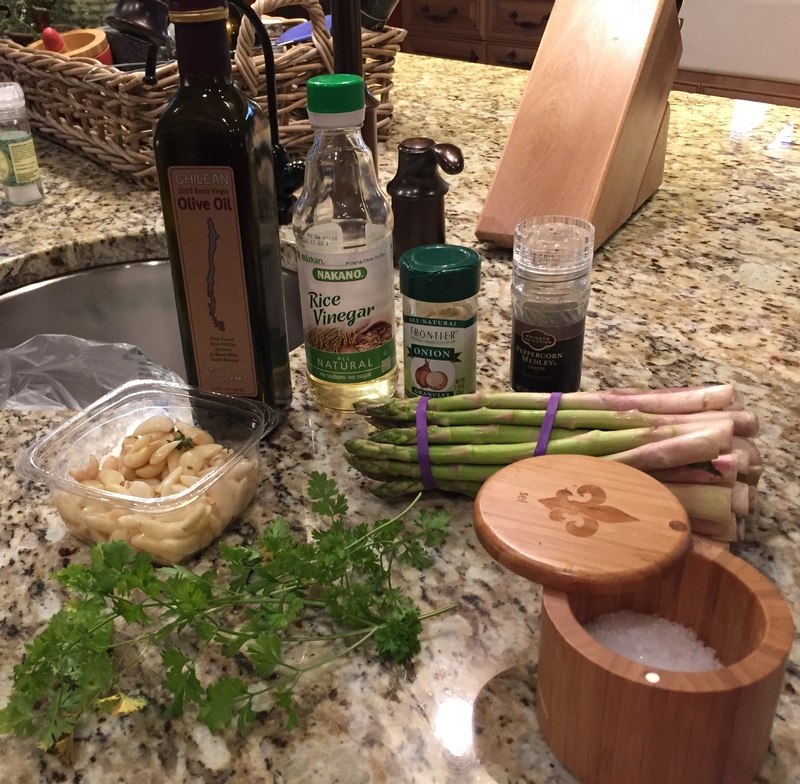 Drizzle the garlic-oil mixture on top of the asparagus. 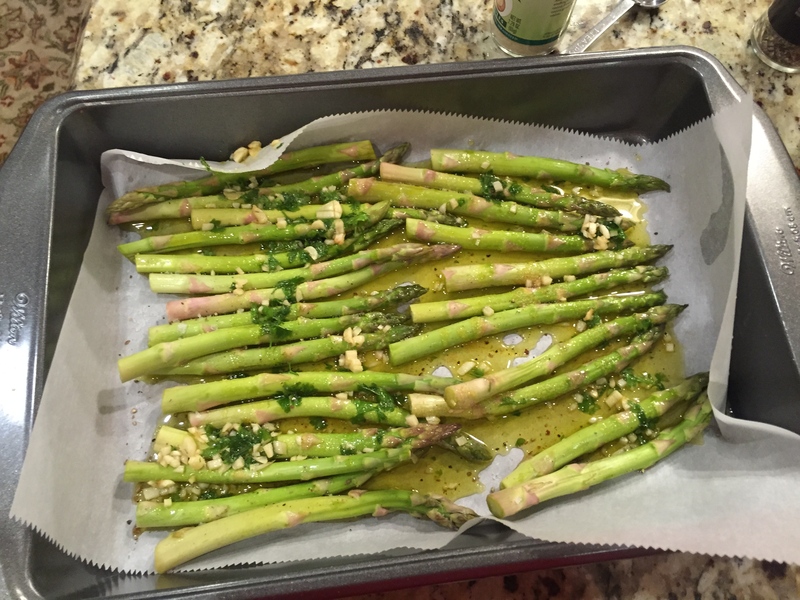 Roast for 8-10 minutes, until the asparagus are bright green; do not overcook. 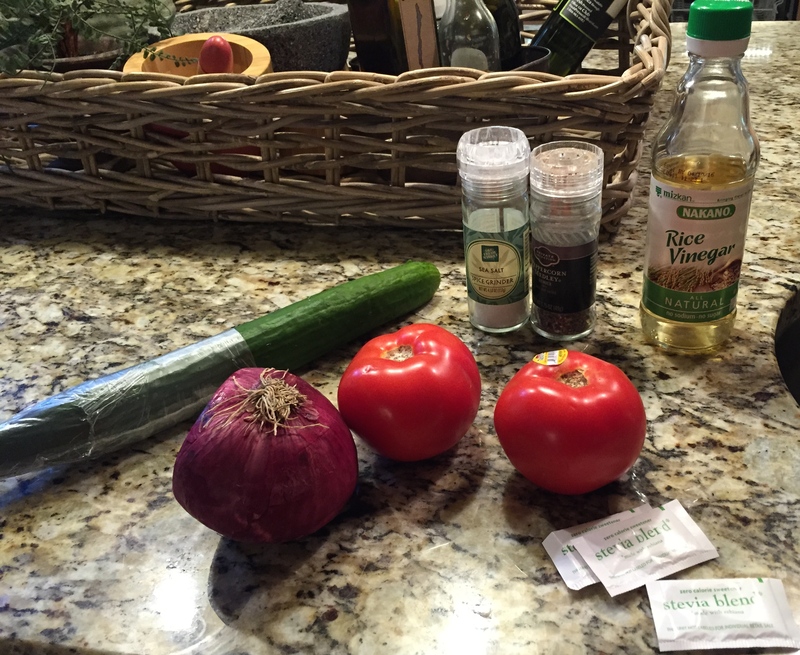 Combine the vinegar and stevia. 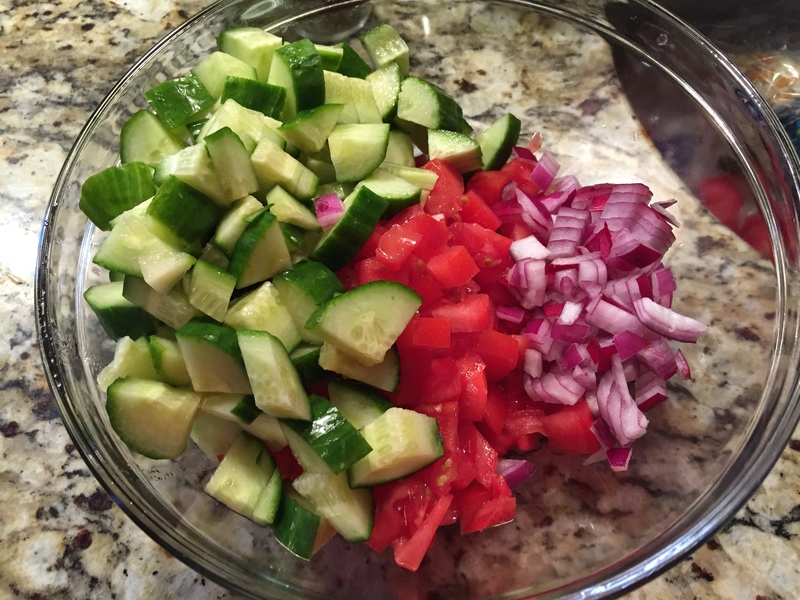 Add cucumbers, tomato and onion. Season to taste with salt and pepper. Mix well. 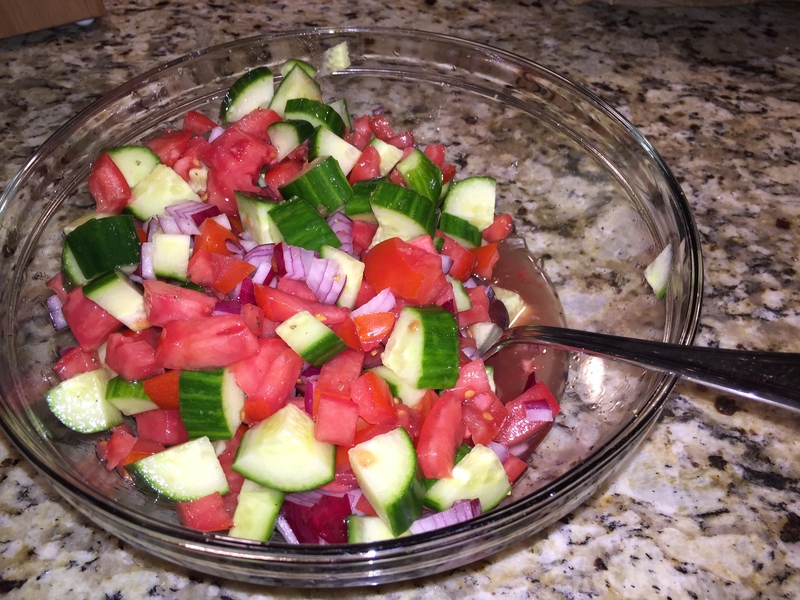 Refrigerate, covered, at least 30 minutes before serving.